(Family Features) Pinboards are buzzing with endless inspiration, bringing clever and colorful projects to life. 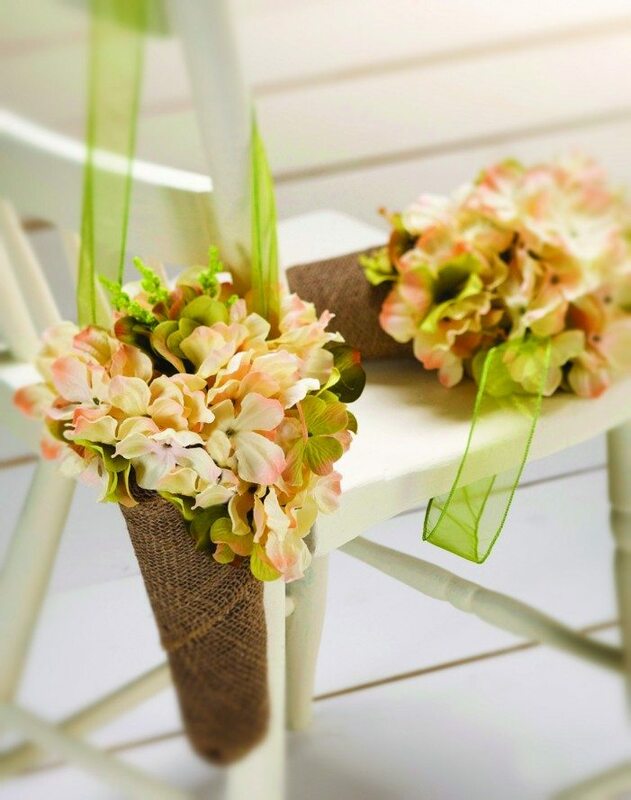 For brides to be, the hottest looks in wedding decor can be yours with just a bit of creativity. 1. Cut wire into hairpin shaped pieces or use boutonniere pins. 2. Cut 1 yard of burlap per cone. Fold burlap in half and wrap cone from bottom to top. Pin burlap to cone. Not all of it will be covered. Run glue along seam; press to secure. 3. Attach ribbon to create hanger. Glue in place. 4. Trim hydrangea short. Glue to top of cone. Trim several clusters from hydrangea. Glue to cover exposed foam, creating a dripping ice cream affect. 5. Trim half of mini bundle and glue in center. 6. Trim blossoms of green hydrangea. Glue to both cones. 1. Trim stems, removing lower foliage. 2. Form a hand-tied bouquet. 3. Tie off with wire. 4. Dribble glue around wire to secure. Let dry. 5. Wrap burlap ribbon around Mason jar, overlapping 1 inch. Glue seam. 6. Wrap lace around jar and tie in knot. 7. Pour resin in jar. Follow package instructions. 8. Insert bouquet. Allow to dry.